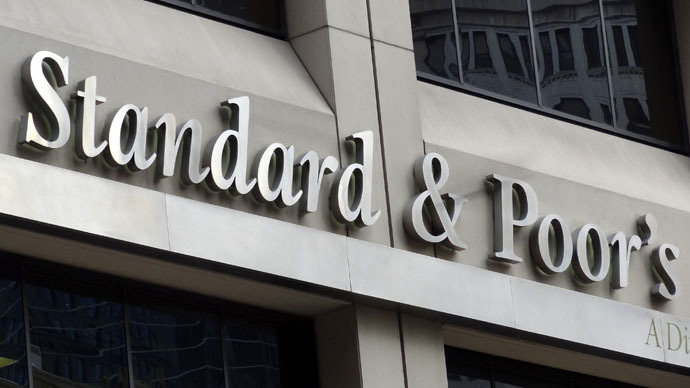 The Standard and Poor’s rating agency has reached a $125 million agreement with the biggest pension fund in the US to settle damages for “over-rating” mortgage securities as sound investments just ahead of the housing market collapse in 2008. The $125 million payout will go to the California Public Employees’ Retirement System, or CalPERS, the Wall Street Journal reported, citing people familiar with the matter. S&P had given AAA-ratings to junk securities that were actually not high-level assets but backed by faulty mortgages which eventually led to the collapse of the housing market and the 2007-2008 financial crisis. CalPERS took legal action against S&P in 2009, and is also pursuing a similar case with Moody’s, and has already settled with Fitch Ratings, the WSJ reported. Banks and mortgage firms doled out risky sub-prime loans to borrowers who couldn’t really afford the debt they were buying, and the housing bubble collapsed in 2008, bringing the American economy crashing down and into recession. In a separate case with the US Department of Justice, S&P may have to pay more than $1 billion in compensation to settle claims over its laissez faire approach to giving out good ratings to businesses, especially mortgage companies. Their high-level investment grade turned out to be worthless. The ratings agency has most recently come under fire from Russian authorities, which believe the company is unfairly assessing Russian companies. In January, the Central Bank announced it would ignore any rating given by S&P, Moody’s, or Fitch after March 2014.